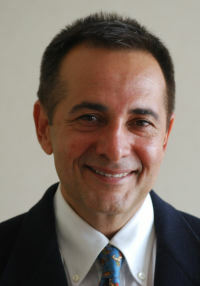 Dr. Ramin Sadr is CEO of Los Angeles-based Mojix (www.mojix.com), a firm which is taking experience originally garnered by the firm's technology team in developing -- of all things -- deep space probes for NASA, and has been applying that to the RFID market. The company has developed technology which uses deep space communications techniques to dramatically extend the range of passive RFID tags, used for things like supply chain automation, asset tracking, and warehouse operations. We spoke with Dr. Sadr about the firm. Mojix is venture backed by Oak Investment Partners, Red Rock Ventures, and Innocal. Tell us a little bit about your products? Dr. Ramin Sadr: Our products, and technology, is essentially game changing in terms of RFID passive tags, and how passive tags have been used in the past. The way it is game changing, is it has transformed the notion of reading those tags from bringing goods to a reader, or a reader to goods, and inside providing ubiquitous visibility. You put our system into a warehouse or reatil, and you can receive information about all of the tags in that area -- wall-to-wall, floor-to-floor. We can read passive RFID tags from thousands of feet away, which means that you can do track and trace visibility, and location tracking, using very cost-effective, battery-less, second-generation RFID tags. As you probably know, second generation RFID tags are essentially small form-factor antennas, with a piece of silicon which harvests energy from magnetic waves in airspace. That, in a nutshell, is why this is game changing. It essentially transforms the context of what has been done previously with RFID and what can be done today. It also positions well for other applications, which have previously not tapped, or which have been served with active RFID tags and active devices with batteries. In terms of economics, and the business model, and what drives the infrastructure to do things like asset tracking, the economics and business proposition and cost of ownership is extermely attractive and is a breakthrough, in the context of the previous paradigm in using these devices. That's why it's viewed as game changing. It's really a quantum leap in performance in range for tags. Previously, the range was tens-of-feet to read, whereas we can read--without line of sight--thousands of feet -- a 60dB gain. Our technology is a million times better compared to the previous technology generation. How is it that your technology is such an advance, and what's the key to your capabilities and this extended range? Dr. Ramin Sadr: Our roots are in deep space communications. What we have done, is adopted lots of the concepts used in detection of signals that are very faint, from far distant galaxies. We've applied those concepts to build very sensitive receivers, which can detect the faintest signals in waveforms coming from tags. Why this is so disruptive, is this kind of science and signal processing has never been applied to detecting signals from sensors and RFID tags. Is this hardware, software, a combination of both? Dr. Ramin Sadr: We had to innovate, in everything from the antenna devices, to RF markers, to DSP hardware, and HDL with our DSP and ASIC components--all the way to our DSP real-time software and our protocols. Our platform has teraflops of computation power, which enables the performance to track the sensors. Talk about the background of your team--I see some of you are originally from JPL? Dr. Ramin Sadr: What happened, is our team was together almost a decade, working at JPL on deep space missions. I led the team that built the concept for tracking deep space probes using ground terminals. We designed Block 5, the original prototype of what went into production in the late 80's with Galileo, which had a high gain antenna that was dysfunctional. They came to us, to figure out new science to salvage that mission. After that was solved, I went into the private sector, launched a few private companies -- with a few successful transactions--and at some point in early 2000, wanted to do something disruptive. I started looking at sensory networks and RFID systems, and saw that there was great market pull for something that gives people better visibility of sensors. One of those opportunities, from a business perspective, was that taking goods to a reader, or bringing readers to goods, is a flawed operational paradigm. We did market studies, talked to customers, and launched a prototype in 2006, launching the company in 2008. We have successfully established a track record in all of our pilots and customers, and have use cases that drive value and transforms supply chain management. So this technology is now being deployed? Dr. Ramin Sadr: We publicly launched in April. One of our initial key beta trials was with Procter and Gamble, Kraft, and Kimberly Clark. We presented at a conference on RFID in April, and continued since then to expand our market to other verticals, such as asset tracking. We are also seeing use in EAS surveillance tags -- which are those magnetic tags you see on clothing in stores -- which can be displaced with RFID. There are opportunities in retail, to asset tracking, to marine applications, and there's lots of interest in the energy sector, and a great deal of interest in the aerospace area. We believe we're well positioned to serve the market with great technology. Why haven't existing RFID hardware firms figured this out yet, and why can't they? Dr. Ramin Sadr: We've got a great deal of experience in detecting faint signals. These are the kinds of problems you have in deep space communications--and not what people typically have in wireless networks today. We have fifteen Ph.D.s in physics, mathematics, and a high degree of expertise in diverse areas like antenna design, to RF, to signal processing. We have a high degree of expertise in this science, which is rooted in quantum electrodynamics and quantum physics--and there aren't that many quantum physicists looking to get into companies. How are you going to market -- are you selling this directly, or licensing this to others? Dr. Ramin Sadr: In context of market entry strategy, it's direct, initially. We wanted to work with established suppliers in the consumer good areas. It was strategic to get Proctor and Gamble, and Kraft Foods to be customers. We figured that if we could unleash our capability within their supply chain, the market could get an understanding of the benefits. So that was our initial market entry, through the consumer goods sector. It's just one of many verticals that our product could provide benefit. Once we can, we will diversify into other verticals. We also have a number of integrators and VARs who have signed up, and are working with our products -- so our strategy for the moment is to be concurrently direct and indirect. Direct, catering to Fortune 50 marquee customers, who have a well-defined ROI in using our technology with RFID passive tags. What's next for your firm, in the next year or so? Dr. Ramin Sadr: We are looking to be extremely focused on verticals that are a green field, in terms of passive RFID. One that comes to mind is RTLS and asset tracking. Traditionally, that whole vertical has been served by battery devices and sensors. One of the greatest things that passive RFID tags brought to the table in the late 90's, was the ability to harvest energy from electromagnetic waves. The efficiency of first generation tags was not good, and there was sort of disappointment in first generation products. But, now, passive RFID tags have reached the point of maturity. We're achieving 100 percent read rates with tags now, where the previous generation you might see 70, 80, or 90 percent. Not having 100 percent read rates with tags broke RFID as a business proposition. So we'll continue to look at green field opportunities, for RTLS and asset tracking, and will broaden sectors as we can given the economic headwinds. There are certain sectors like energy which are actively engaged with us on using our devices, and which are realizing ROI from this, and also where the economic effect is less serious than in retail and the consumer product goods sectors--as we are all aware have challenges today due to the condition of the economy.